We live in an era where kids of all ages spend their time engrossed in some sort of electronic device. My kids are no strangers to electronics, so when they ask to go the the park, I rarely say no! I would much rather see my children spending their childhood running around outdoors than watching them waste the hours away on electronics. 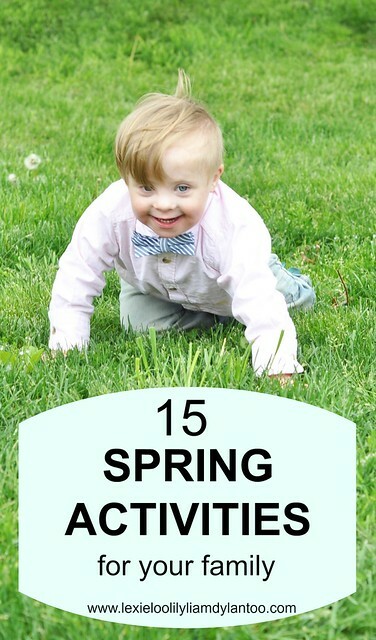 I am always trying to come up with fun activities for children, and now that the weather is warmer, we can add so many outdoor Spring activities to the mix. My kids love spending time at the playground, so even if it's an inconvenience, I still try to say yes when my kids ask if we can go to the park! 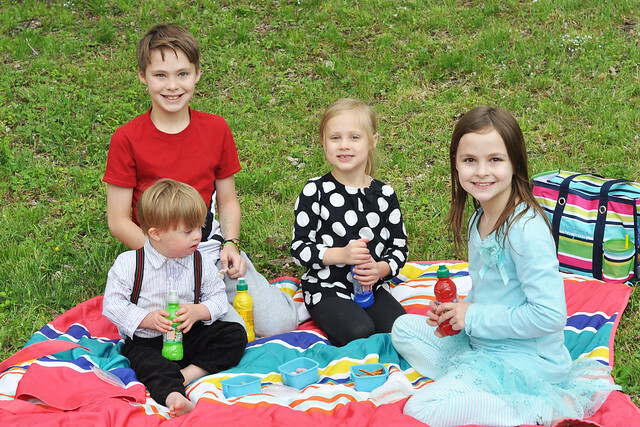 Most of our trips to the park are unplanned and most of our trips to the park include a picnic. Whether it's a last minute idea or an idea that we came up with on the go, I always like to be prepared for an adventure with my kids. 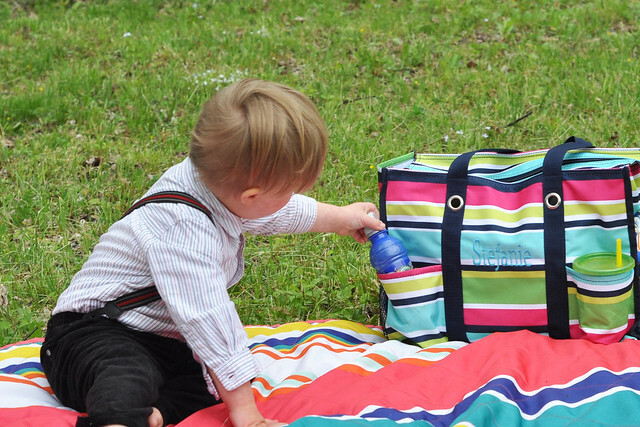 From the picnic blanket, playground toys, and snack bag that I always keep in my SUV to the drinks and food that are stocked in our fridge just waiting to go, we are always ready for an impromptu adventure! I'm always on the lookout for foods and drinks that fit into our busy, on-the-go lifestyle, and Fruit Shoot® is the perfect choice. Fruit Shoot® is made for adventures! Fruit Shoot®, a fruit juice drink that is very popular in the United Kingdom, is now available in the U.S.
My kids tried each flavor and they love the Orange & Mango and Strawberry & Raspberry. I agree with them! Both flavors are delicious! 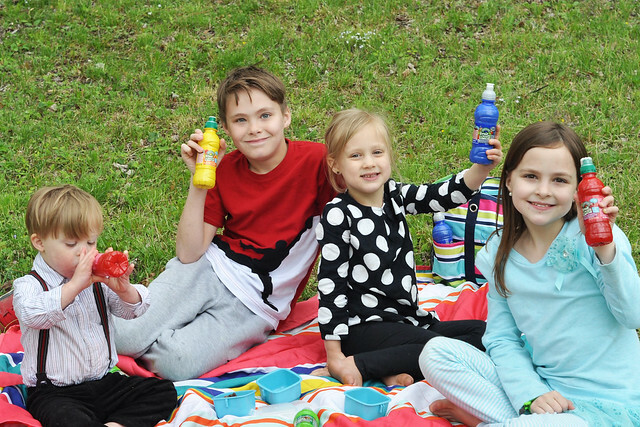 My favorite features are the 8 oz bottles, which are perfect for little kids, and the resealable sports cap!!! That sports cap helps make our adventures a bit less messy! 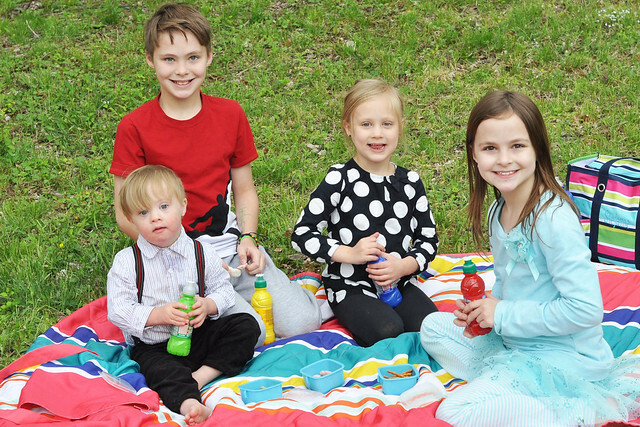 Plus, all four of my kids, who range from age 2 to age 11, like Fruit Shoot®. That's a win in my book! 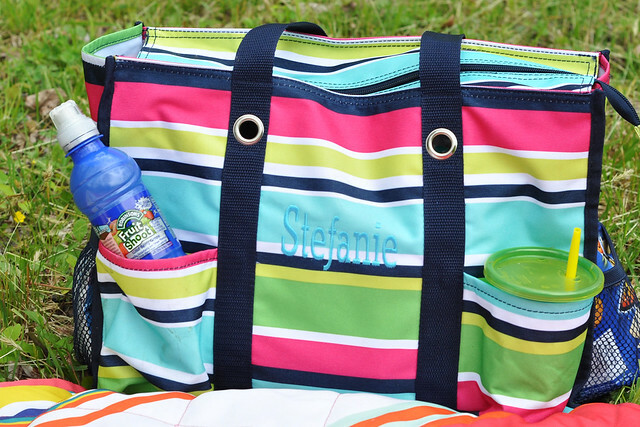 Fruit Shoot® fits perfectly into our on-the-go lifestyle! I can grab a few as I run out the door and stash them in my bag. 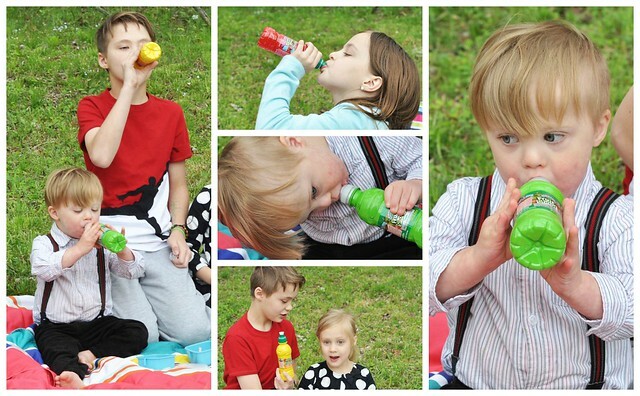 My kids can easily refuel during our fun adventures, then recap the fruit juice drink until they are ready for more! 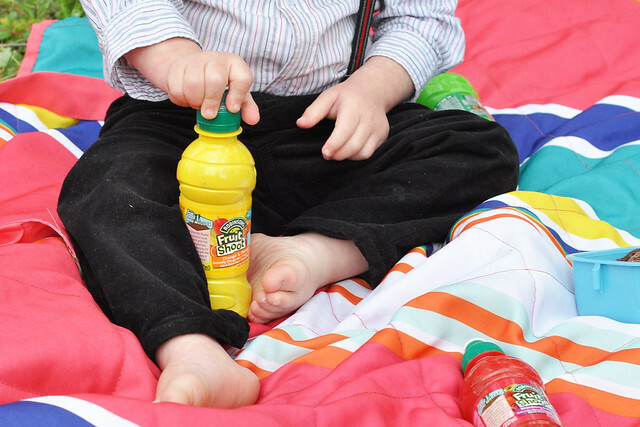 Fruit Shoot® is #MadeforAdventures and is the perfect addition to our picnics and park visits! 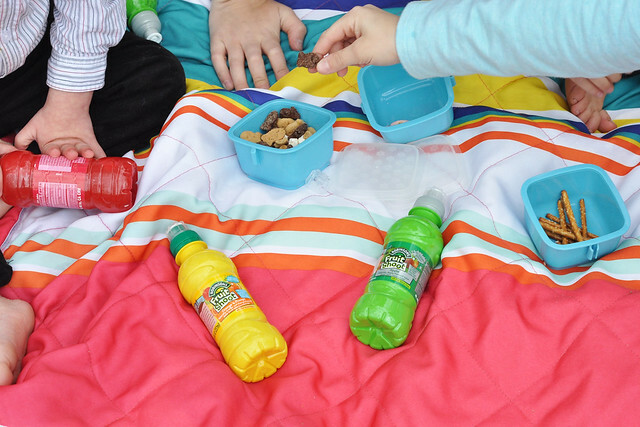 Although picnics are our favorite, there are so many Spring adventures on our yearly bucket list! Go for a walk in the rain. Bonus points for jumping in puddles! Go for a hike. Check out all the beautiful flowers popping up out of the ground. Burn some energy at a local playground. Take some chalk and toy cars to the playground and draw a giant city on the blacktop/sidewalk. Round up your kids and play a game of catch, basketball, or frisbee. Take scooters to a local walking trail. Break out the tricycles/push cars for the little ones. Play "car wash." Put out buckets of soap and water and bring out all the outdoor toys. The kids can give them a good scrubbing to get them ready for summer. It's even more fun to drive those ride-on toys up to the car wash.
Plant a little garden or a few flowers. Draw a hopscotch board and play. Feed ducks or geese at a local pond/lake. Play tag or hide and seek. Visit a farm or a petting zoo. You just might spot a few baby animals! 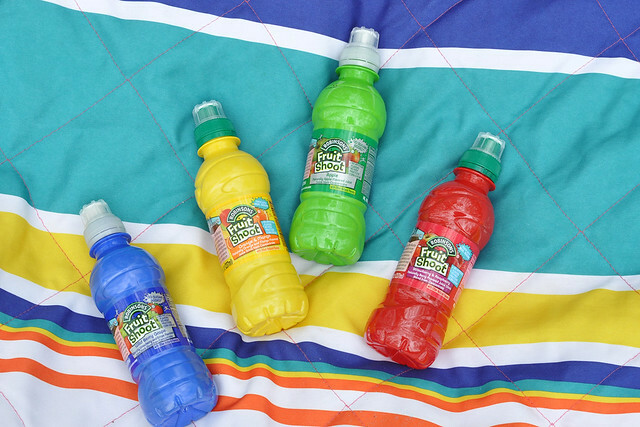 No matter what your adventure, Fruit Shoot® can come along with you! Have you tried Fruit Shoot® yet? What is your favorite flavor? 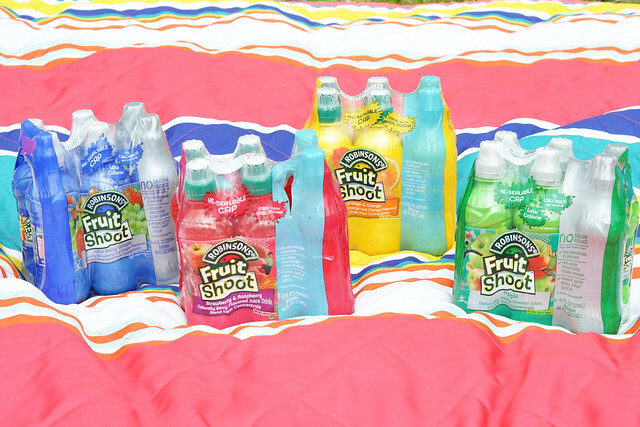 Thank you, Fruit Shoot®, for sponsoring today's post and joining us on our adventures! I love all of the activities on your list! So much fun to be had. Those juices sound pretty great! Thanks! They're actually really tasty. I can taste the real fruit juice in them! I've never head of this product. I bet the girls would love it. Your list of park ideas is pretty great too! I bet they would! I actually like the regular flavors a lot. They're not overly sweet and you can taste the real fruit juice. Plus they're small enough that the kids finish the drink instead of tossing it aside!